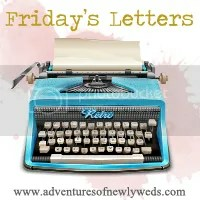 Today I’m linking up with Ashley from Adventures of Newlyweds for Friday Letters! Dear sun burn tan, You look ridiculous. I will fix you this weekend! Dear Summer Olympics, I am super pumped to see you. It’s been a long four years. Sure your sibling Winter Olympics is pretty cool too, but I just love Summer! I will be devoting my TV time for the next 17 days almost exclusively to you! Dear Life, Please work out the kinks and get yourself figured out. Dear Boyfriend, Thanks for putting up with my stress induced mood swings. For both our sakes, lets hope things get figured out soon! Did you hear me life? Get yourself together! 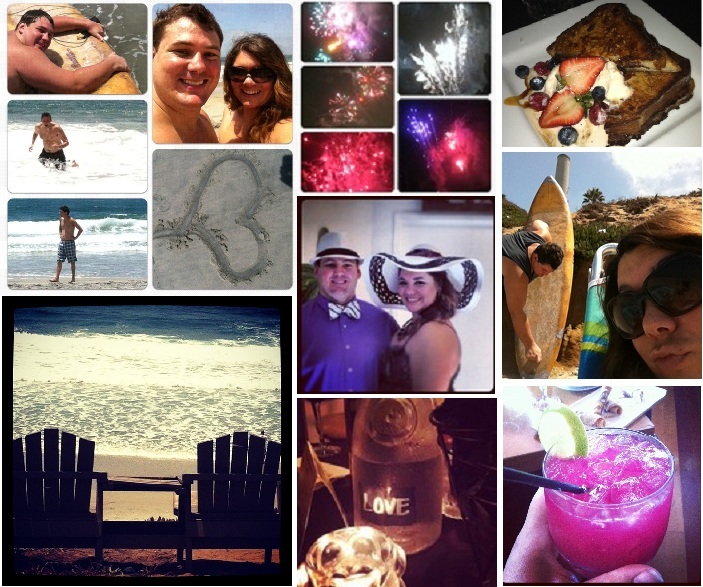 Dear Weekend, I hope you can live up to last weekend! See, it looks pretty awesome huh? Dear Readers, I need your help deciding what to do with my hair. I get bored every so often. Currently I have long layers with a slight ombre. What do you think I should do? 1-Go with a more intense ombre. 2-More layers and put my extensions back in 3-Blunt layers. 4- A bob. 5- A choppy shorter cut. Decisions, decisions. Dear Friday, I am so glad you are here! That weekend away looks so nice! I wish I was there right now! I am partial to long hair so I like the first look the best. I found you through the linkup & I love the name of your blog… you have a new follower! I've been taking out a lot of my “life stress” on my fiance, too– thank goodness we both have some understanding guys in our lives! Also– I like the 2nd & 3rd looks, for your hair… keep us updated on what you choose! Yes, the Olympics! I'm so excited, I'll be watching them too!! I love the sentiment of your blog title! And I'm definitely jealous of how fun your weekends are! Mine have been boring rounds of grad school and work for the past few months. Ugggh. I'm inspired by your pics to start making them count! Love the name!!! Found you on the Friday Letters link up! I like 1 & 5 For hairstyles! 1) Love the giant hat 2) Short hair! I love the ombre. I like the first one!